No. 949. 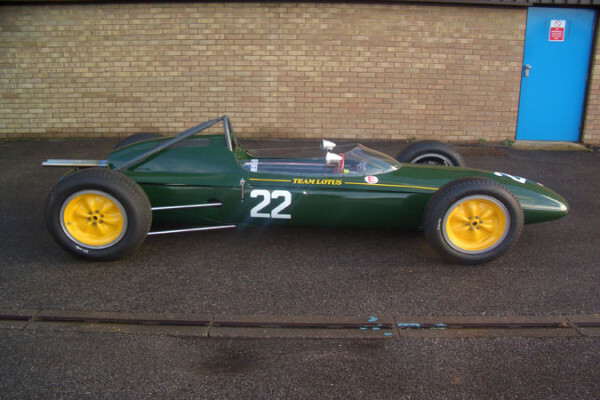 Ex 1962 Team Lotus works car driven in period by Trevor Taylor. Continuous ownership, the car has HTP papers. The Lotus 24 was a Formula One racing car designed by Team Lotus for the 1962 Formula One season. Having devised the monocoque Lotus 25 for use by the works team, Colin Chapman decided to build a ‘conventional’ back-up spaceframe design which he would also sell to privateers. The 24 was a completely different design from its predecessor, the 21, and used much of the same suspension as the 25. Both Coventry Climax FWMV and BRM P56 engines were fitted.